Lady Bird Lake is always good for a stroll-around. 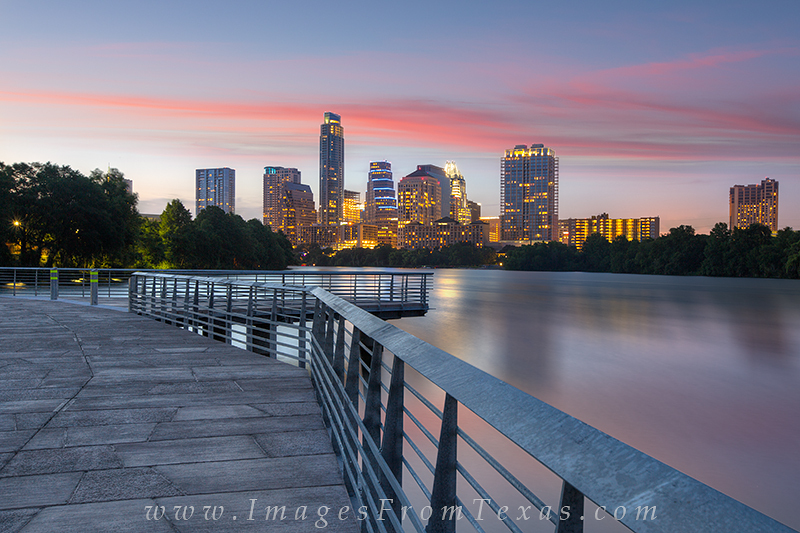 And with the newly opened Boardwalk (June, 2014), the views of the Austin cityscape are wonderful. This picture of Texas' capitol city was taken using a 30 second exposure to blur the water and light up the buildings and evening sky. Photo © copyright by Rob Greebon.